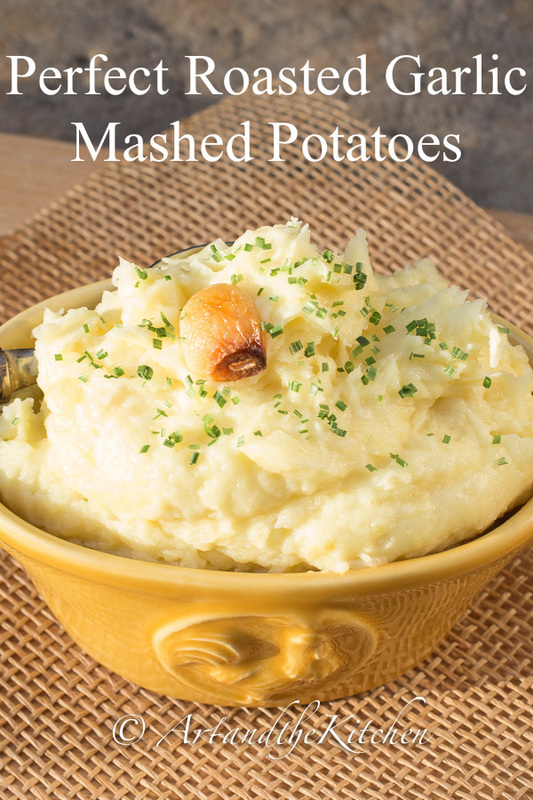 Make Perfect Roasted Garlic Mashed Potatoes every time with these easy to follow instructions. Nothing says comfort food more than a savoury meat dish accompanied by mashed potatoes. 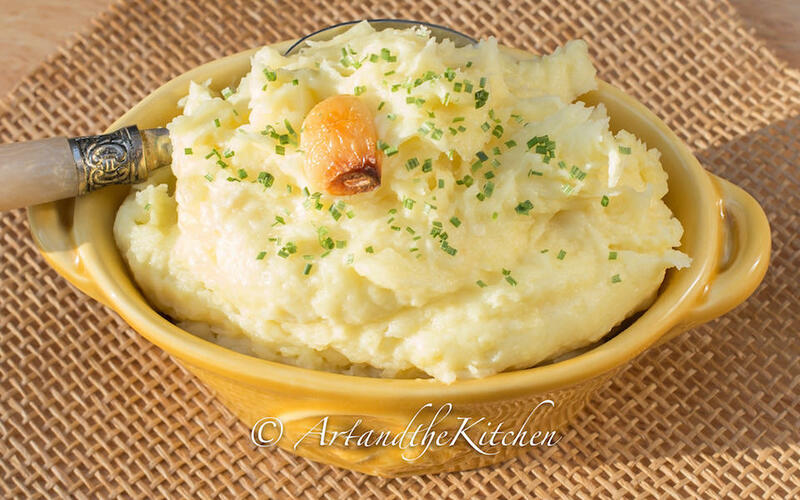 I love this recipe for Perfect Roasted Garlic Mashed Potatoes! It starts off with roasting fresh garlic in the oven. 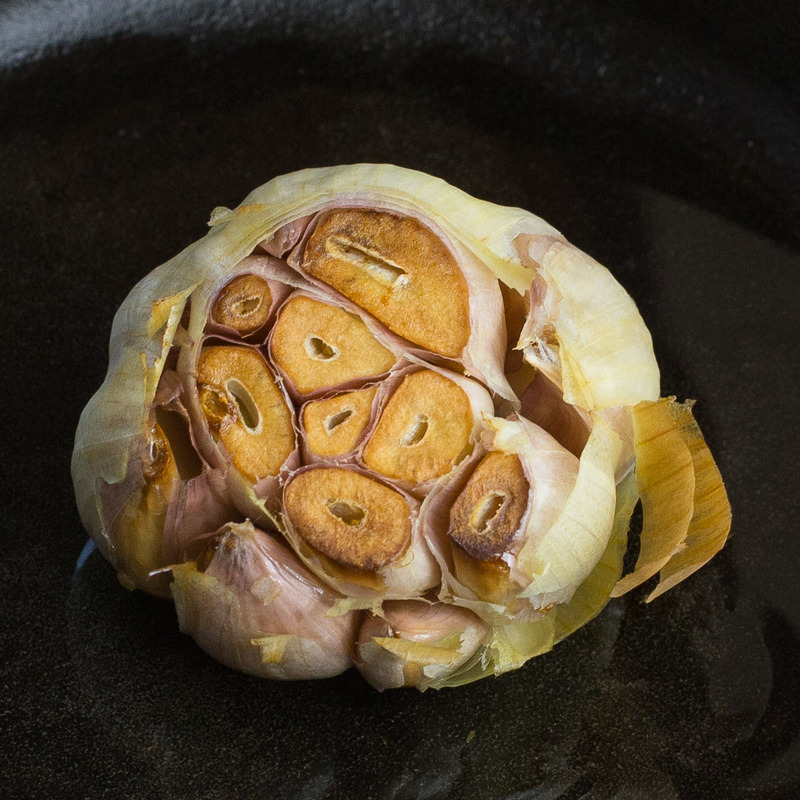 Here’s the link to How to Make Oven Roasted Garlic. 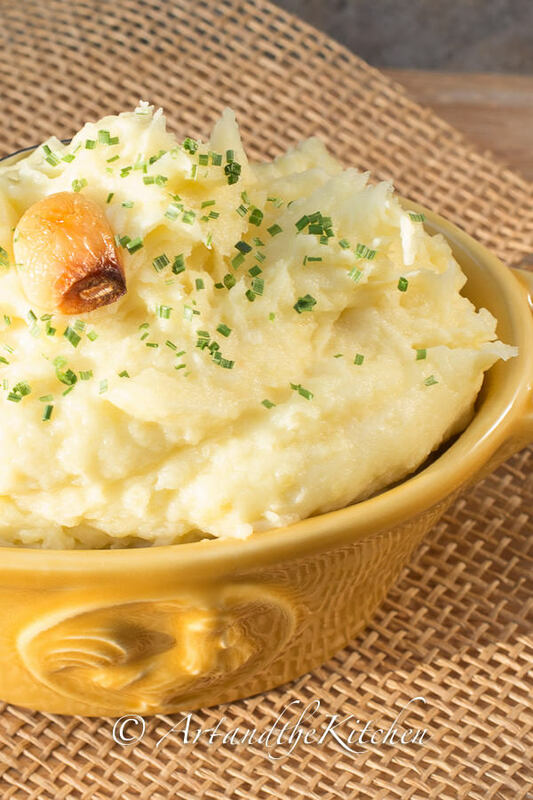 Great mashed potatoes start off with the right potatoes. 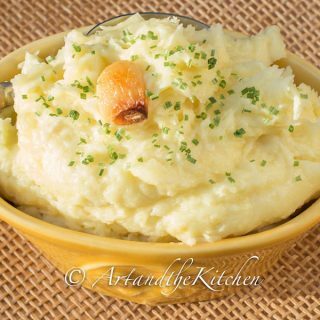 Yukon Gold or Russet work great because they have a higher starch content that produce a fluffy, smooth mashed potato. 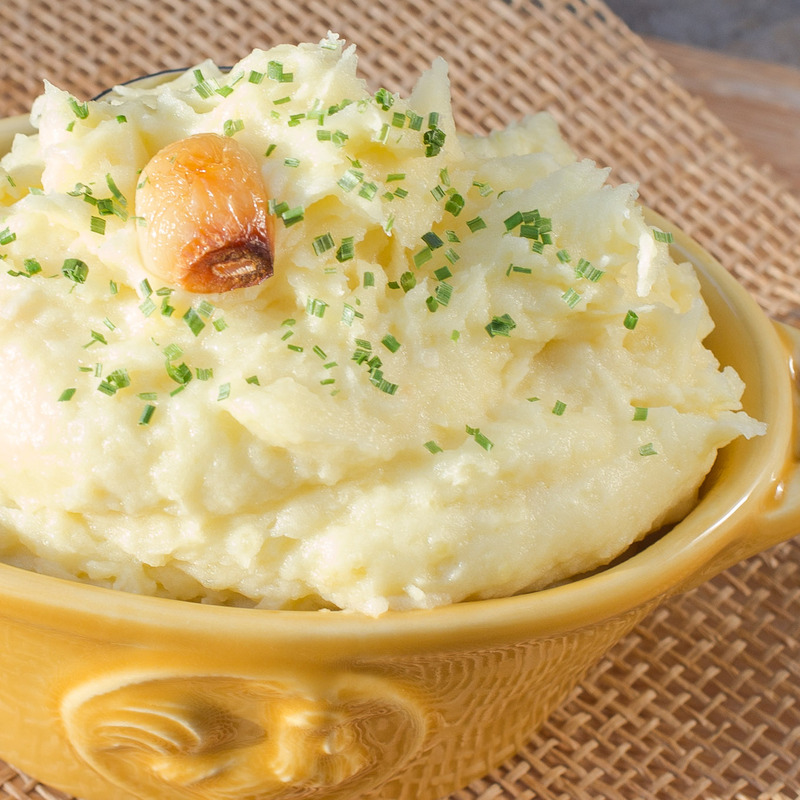 Another important aspect to making perfect mashed potatoes is cooking them properly. This starts off by cutting potatoes into equal chunks to ensure even doneness. Add cold water, bring to a boil, reduce heat and simmer until cooked. 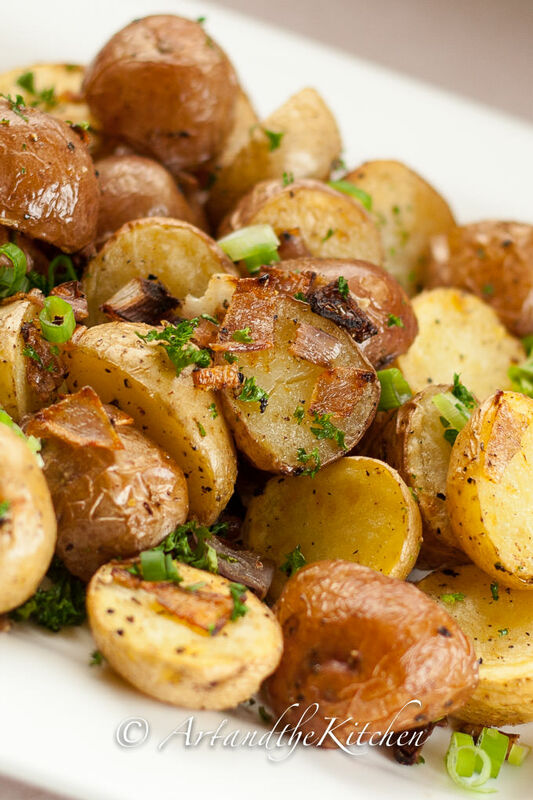 Potatoes are done when fork tender (poking a fork into the potatoes it has little resistance). Mashing the potatoes is the most important step! Under mixing causes lumpy potatoes, over mixing and you have gluey mashed potatoes. I start with a potato masher to mash down the potatoes with the garlic and butter. Then I switch to an electric hand mixer to add the cream. When using the hand mixer combine only until mixed and fluffy on low speed, remember over mixing will cause your potatoes to turn to glue! Not good, garbage, start over! Make Perfect Roasted Garlic Mashed Potatoes every time. Peel and cut potatoes into equal chunks. Place in medium sized pot and cover with cold water. Add salt and bring to a boil, then reduce heat and simmer until potatoes are tender. Using a potato masher, mash potatoes, roasted garlic and butter together. Pour in warmed cream and with electric hand mixer (do not use immersion blender) combine on low speed until potatoes have no lumps. You can also continue to use potato masher. Do not over mix, or potatoes will become glue like. If necessary season with a bit more salt. The garlic does add some great flavour, and if you really like garlic just add more. Thank you for the kind comments.